This morning, my mom called me from a Borders bookstore in Overland Park, Kansas. As I zipped along the freeways of LA, she held up her cell phone and let me listen to four songs from a songwriter’s set. 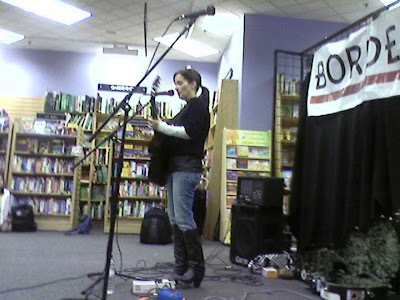 And not just any songwriter: Lori McKenna, one of my favorite songwriters of all time. Lori McKenna lives in a suburb of Boston, where she is married to a plumber and a mother of five children. For years, she spent her days driving a minivan, chauffeuring her kids to and from soccer practice, and quietly writing songs at her kitchen table late at night after her kids had gone to sleep. Years and years and years went by, and she kept writing – unseen, unnoticed, and with no real audience aside from the occasional open mic night. However, several years ago and in a twist of fate, when Faith Hill heard one of her songs, she said, “I want to hear everything this woman has ever written.” Subsequently, Faith recorded three of her songs for her 2005 album “Fireflies,” thus rocketing the suburban housewife to stardom. I have several of her albums, and recently bought her newest release “Unglamorous” off of iTunes. Friends, I cannot recommend this CD highly enough. If I could, I would reach out and take every single one of you by the shoulders and firmly urge you to buy it yourself. 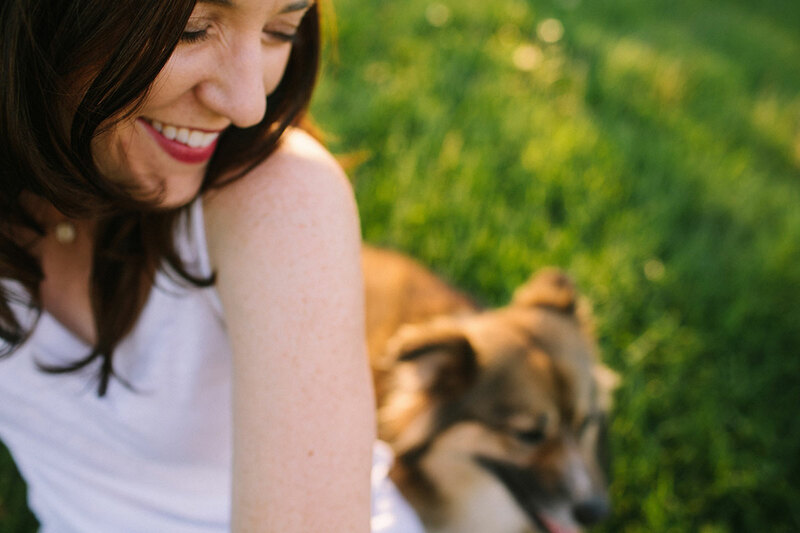 Lori McKenna writes astoundingly, mostly about the highs and lows of suburban life. Although she herself has been happily married for 19 years to a good man, her observation and imagination have given her the ability to write agonizing songs about women who are ignored, abused, broken, and of course, married to alcoholics (it IS country music, after all!). If you want to test the waters before committing to an entire CD purchase, my current favorites are “Your Next Lover,” “Witness To Your Life,” and “Confetti.” “Leaving This Life” is one of the most exquisitely sad songs I have ever heard; I cannot listen to it without crying. For older fare, check out “Stealing Kisses,” “Bible Song,” “One Man,” and “Fireflies.” At least give her a listen – you need to know about her. I wonder how many people are quietly going about their lives – creating, generating, doing things really well, loving – and without anyone really knowing? It makes me smile to know that even when we feel unseen, and when we are not receiving national recognition for our achievements, it does not have any bearing on our value. The worth of our work and toil and creation is not determined by the recognition that we receive – the merit is in the doing of it. So keep going. Keep doing what you do, even when it feels like no one sees you. What you are doing is worthwhile: you are creating good. And listen to Lori McKenna. I’m so glad you bought it. She’s fantastic. I let my mom listen to the new one this weekend.